At SpeedPro Imaging South Jersey, we take every project seriously and aren’t satisfied until your needs are met. 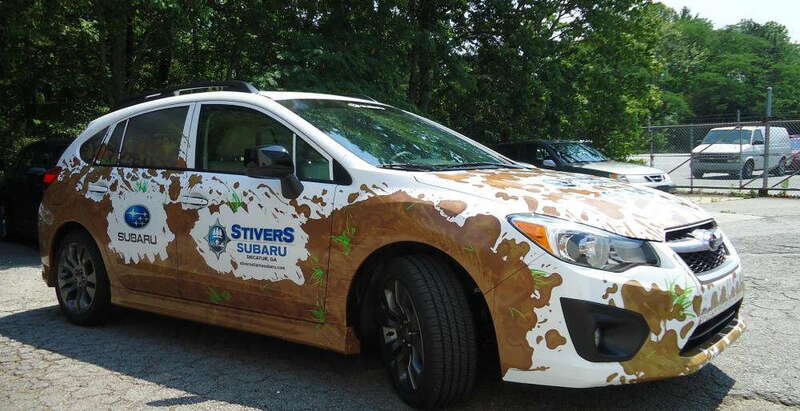 With 17 years of combined experience in the large format graphics industry and access to top-tier resources, we’re confident that we’ll produce your new custom vehicle graphics with precision and timeliness. Utilize your bland cars, trucks and vans as part of your marketing strategy by transforming them into fully functional billboards that get you noticed! We serve Philadelphia, Atlantic City, Chester, PA and the entirety of Camden and Gloucester counties. Ultimately, these are all areas with a tremendous amount of possible engagement opportunities, and vehicle advertising is key to unlocking that potential. About 97 percent of drivers say they’re more likely to remember products and services advertised on vehicles, and 27 percent say they purchase products and services based on graphics. 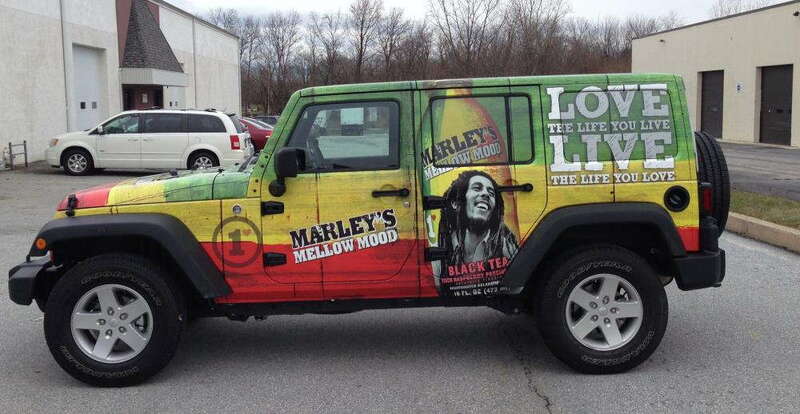 Vehicle graphics and wraps can generate nearly 8.5 million impressions over the course of 12 months, and the cost per 1,000 impressions is just $0.70. 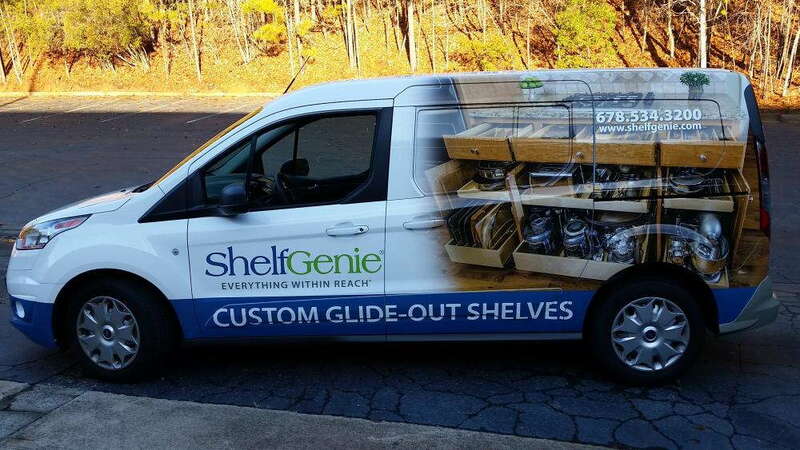 To say the least, auto vinyl graphics are an incredibly efficient marketing method that nets a strong ROI. From full wraps to simple decals, we’re fully capable of crafting your ideal solution! We’ll take the type of vehicle, timetable and quantity you need into account, and we’ll keep you informed throughout the entire process. We’ll also walk you through our catalog to determine your best options. Full wraps are popular solutions because of their all-encompassing nature. You can have them cover a majority of your vehicle, and they’ll be made of industry-leading materials and long-life inks when they come from SpeedPro, meaning they’ll maintain their luster for several years. Partial wraps generally cover one side or portion of your vehicle, but they still maintain their impact while remaining cost-friendly. On a smaller scale, we also offer decals and window graphics. Decals can be contoured into a multitude of designs that vary in size. Finally, window clings can be applied to the rear windshield or rear-door windows of your vehicle. With perforated film, you can display solid images on the exterior while allowing light into the interior. With the use of software that contains many vehicle templates, we’ll preview your design prior to printing. We’ll be able to make any necessary adjustments while allowing you to provide feedback. Once the design process is finalized, we’ll move on to the installation process, which will vary depending on the products you choose. We’ll always work quickly to meet your timetables, and we attempt to be as flexible as possible with deadlines. Contact us today to schedule your consultation and begin work! You can also visit our studio on Lower Landing Road in Blackwood.